BJP national executive meet LIVE updates: A two-day national executive meet of the BJP began on Saturday with several top leaders of the party attacking the Opposition with their scathing speeches. The meeting will resume today and PM Narendra Modi is slated to conclude party's annual meet with his address. During the meeting, the saffron party postponed the party elections paving way for Amit Shah to lead the saffron party till 2019 Lok Sabha elections. A two-day national executive meet of the BJP began on Saturday with several top leaders of the party attacking the Opposition with their scathing speeches. 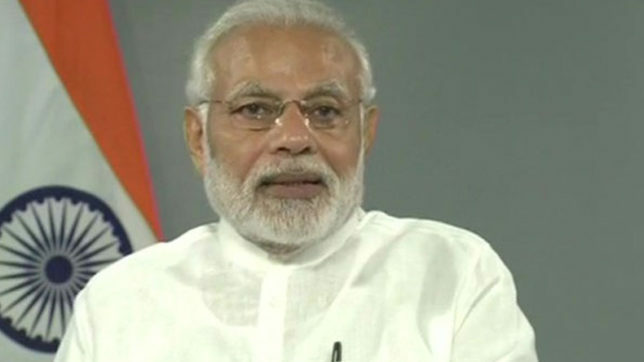 The meeting will resume today and PM Narendra Modi is slated to conclude party’s annual meet with his address. Earlier on Saturday, the saffron party sounded the poll bugle for Lok Sabha elections 2019 and vowed to perform better than 2014. BJP president Amit Shah inaugurated the party meeting and his address made it apparent that the party is confident of returning in power in 2019 and that too with more number of seats than 2014. PM Modi, BJP president Amit Shah, Senior BJP leader Lal Krishna Advani and finance minister Arun Jaitley were among the top leaders who attended the meeting. It also marked the presence of party’s state unit presidents and national office bearers. During the meeting, the saffron party postponed the party elections paving way for Amit Shah to lead the saffron party as president till 2019 Lok Sabha elections. Also, the party hailed the party with its newly-adopted slogan “Ajey BJP” (Invincible BJP). Meanwhile, it was BJP’s first meeting after the demise of former BJP leader and prime minister Atal Bihari Vajpayee. The party has decided to give the venue a theme of “Sadaiv Atal” to pay tribute to the former leader. Hitting out at the Opposition, Prakash Javadekar said that the Opposition neither has a candidate nor any plan of action and thus they are indulging in negative politics. Earlier on Saturday, during the first day of the BJP's national executive meet, Amit Shah launchd a series of scathing attacks.